Wide aisle pallet racking is a versatile and cost effective system designed to store palletised loads. Consisting of single or double runs which are separated by a wide aisle nominally 2500 – 4000mm, enabling ‘Counter-balance’ or ‘Reach’ trucks to operate within. Wide aisle pallet racking is available in a variety of heights and depths to suit individual needs, having beam lengths of up to 5500mm and capable of supporting uniformly distributed loads of up to 5000 Kgs. 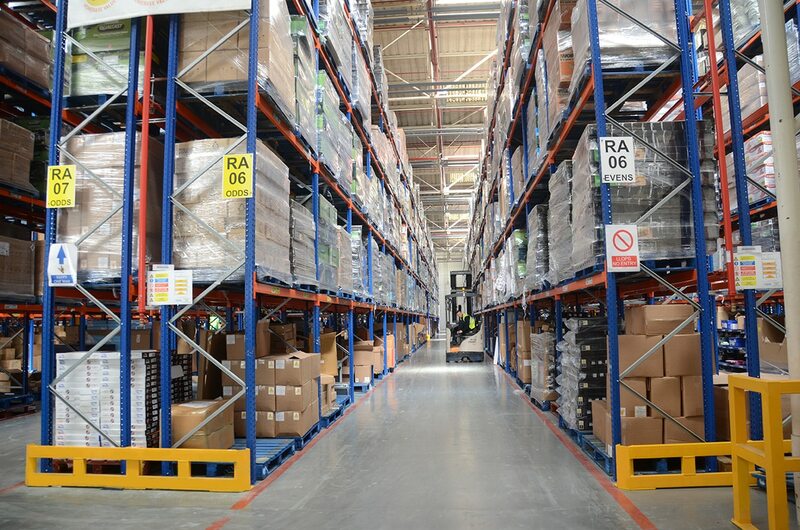 Wide aisle pallet racking can be fitted with an array of accessories such as pallet support bars, skids, weld mesh and timber shelves, enabling a vast range of none palletised goods to be stored such as boxed products, metal stillages, sheet steel, plastic laminates, carpet and vinyl rolls.